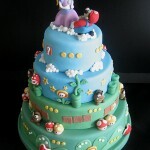 In the past, I have posted a ton of Super Mario Bros themed wedding cakes and they are all amazing. 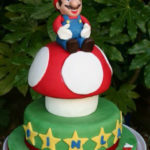 However, I think this incredible Super Mario Bros wedding cake is officially my favorite and should the day come that I get married, I want one just like it! 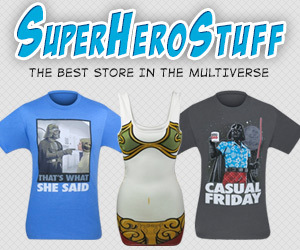 I am blown away by the level of detail on this cake. 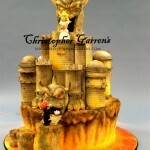 While I am not positive who made this incredible cake, I would guess it was created by Cakecrumbs judging by the watermark on the photo. If not and you know who created this great cake, please let us know in the comments below so we can give them the credit they absolutely deserve! I can’t even imagine the time involved in getting a cake to look this detailed and good but I would say it was well worth it! Normally, this would be where I go into my anti-fondant rant because no matter how good it makes cakes look, I think it tastes like crap and is just evil, but I’m not going to rant about that today. 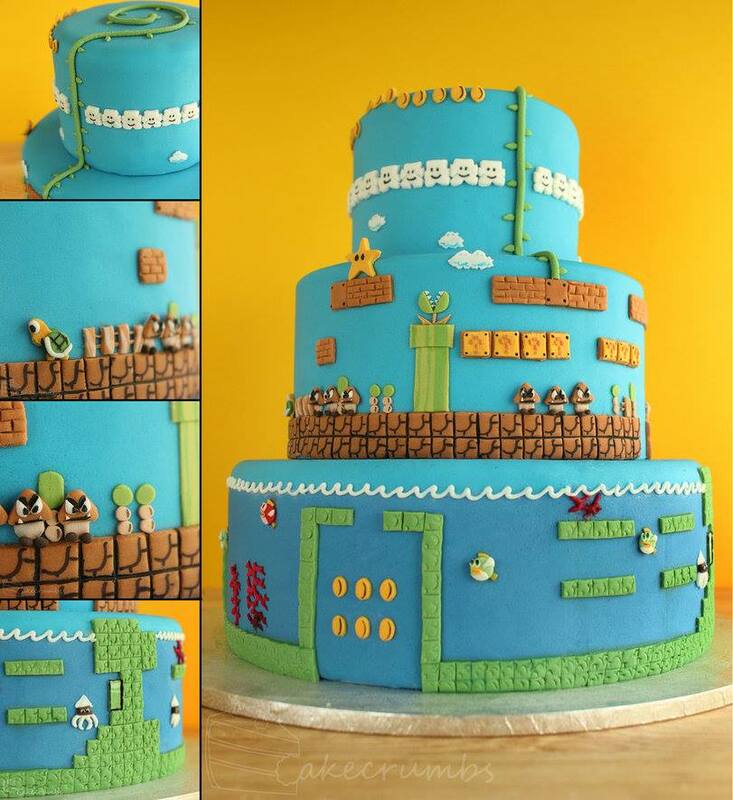 Instead, I am just going to appreciate this cake for its beauty and point out that I can’t remember the vines in the Mario Bros classics ending in a little loop like that which I think hurts the authentic feel of this cake. 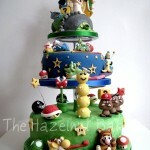 Also, where are the Mario and Peach cake toppers?! 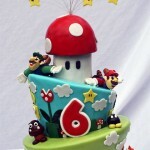 You can’t have a Mario wedding cake without those!